The new class has been announced at Studio Calico and I'm so happy that there's going to be a sequel to the popular Pop Off the Page class with Jen Jockisch! Feeling a little flat? Join layering expert Jen Jockisch for the sequel to last year's popular class learn how to layer your paper and embellishments to add detail, dimension and visual interest to any project. We'll be kicking off the class with a refresher PDF to discuss ideas shared in the first class, and will follow that up with four PDSs discussing even more concepts in layering. In the end, you'll have access to 5 PDFs filled with 28 new projects, 2 videos (one from Jen and one from Celine) and oodles of Pop Off the Page tips and tricks. 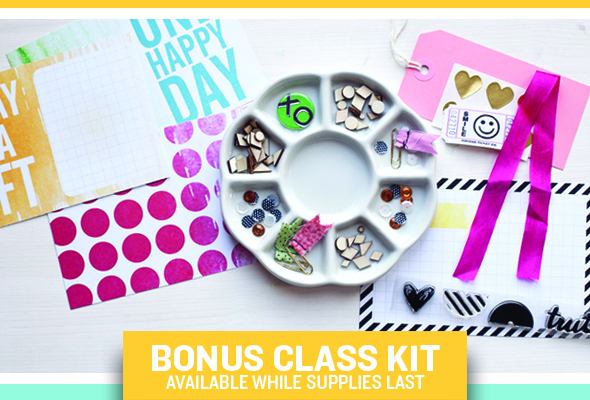 The class also comes with exclusive downloads - printables from In a Creative Bubble and Blinks of Life and die cut files in .svg, .png and .studio from Kinsey Wilson. Here's a sample, but there will be lots more! Last year's Pop Off the Page was a really fun, informative class so I'm excited to see what Jen has in store for the sequel!